We all occasionally feels sad, low, or anxious, but as the time passes, these feelings pass within certain period of time. The prime symptoms are feelings of anxiety, sadness, loneliness, worthlessness, restlessness, fatigue, irritability, loss of interest in life, thoughts of suicide, persistent pain and agony. All these symptoms interferes with daily life. 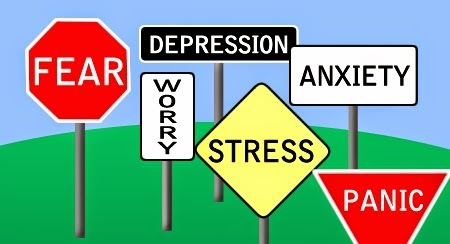 Depression and anxiety is treatable with counseling, therapy and sometime symptomatic medicines.